First of all, the dose of radiation in the solarium is strictly defined and if it is adapted to the individual type of skin, it is safe – it does not cause erythema or skin burn, which often happens when we use the sun immoderately. Secondly, the radiation emitted by the solar lamps triggers the production of vitamin D, which is essential for the proper functioning of the body. This is especially important in periods when we do not have the opportunity to expose the body to solar radiation. Using the tanning bed makes our skin pre-prepared for contact with solar radiation – which is especially important especially before the holiday period. We know how much skin burns are when we leave for vacation and we are eager to use the sun. And these sunburns are the most dangerous and can cause various skin conditions. So let’s do our best to prepare our skin for sunbathing. Check also: The benefits of vitamin D3 supplementation! Thirdly, tanning in a tanning bed provides relaxation and good mood, improves mood, helps to avoid depression, and additionally gives a beautiful skin color. The tanning time should be properly selected by the solarium staff. It depends on the type and type of lamps and our phototype and the degree of browning of the skin. Of course, there are also contraindications for tanning in the solarium. Sunbathing should not be done by people with phototype I – very light complexion, suffering from arterial hypertension, circulatory disorders, thyroid disease, having a very large number of pigment staining, a tendency to skin discoloration. Against, the indication for sunbathing is also allergy to UV radiation, rosacea and tendency to dilated capillaries. People who take certain medications, including hormones, cardiac drugs, sulfonamides, antibiotics, painkillers, should also not tan (also in the sun). It is also worth noting that some herbs, such as St. John’s wort, are highly phototoxic and should not use them when planning a tanning session. Pregnant women can only tan after consulting a doctor. It is worth remembering these recommendations, coming to the solarium. Above all, you always need to consult professionals in the salon who will choose the tanning time suitable for the skin phototype, advise you which cosmetics will be the most suitable for your skin. Thanks to this, the skin will not only have a beautiful color, but will also be maintained in excellent condition. Sunlight has always played a huge role in human life. Biopositive UV radiation known and has been used for hundreds of years. Even the color of our skin is adapted to the climate zone in which we live. Even the ancient Romans sent their sick to the places with a lot of sunlight. The healing role of UV rays was discovered by Danish physician Nils Finsen, for which he received the Nobel Prize. At the beginning of the twenties of the last century, solar therapies were prescribed for various ailments, ranging from fatigue to tuberculosis. As the first tanning, she began to popularize Coco Chanel, who enjoyed good health all her life and lived to be 88 years old. Read also: The benefits of vitamin D3 ! We do not deprive ourselves of life-giving UV rays – when we do not have natural sun, we can sunbathe in a solarium, but of course we dose them accordingly. Do not let yourself be manipulated and under pressure from cosmetic companies, that only a high-protection filter with chemical components is safe. And nothing strange, because everyone knows that it is in the summer that we do not get sick, the body defends itself perfectly. And the same effect is obtained by people who, in periods of lower sun exposure, use a tanning bed, less fall into various infections and diseases. Our pro-health activities should be multidirectional, and taking care of the proper vitamin level. D3 should be superior. Research shows that more than 50 percent society suffers from Vit deficiency. D3 In our latitude, the proper level of its production by the body can be obtained from March to September, provided that the weather is sunny, and we have time to use the sun. And here comes the help of a solarium, which we can use at any time and strictly dose the amount of radiation, regardless of the aura outside the window. Vitamin D3, as confirmed by scientific studies, has a huge role in the absorption of calcium and phosphorus from the large intestine, which strengthens our skeletal system and teeth. And it is not true that all you need to do is to consume dairy products to make the skeletal system stronger. Without vit D3 calcium from the intestine will not be absorbed by the body. And the same wit. 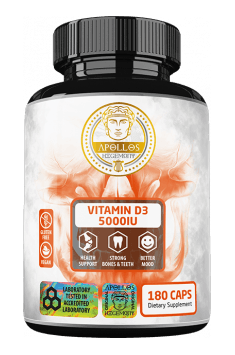 D3 is necessary for the general fitness of the body, has a positive effect on the nervous system, relieves muscle pain, regulates very important functions of the body, and most importantly strengthens our immunity. Using the benefits of sunbathing, we will retain better mental performance in old age. Such research was carried out at the University of Manchester Dawid Lee and compared the population of 3,000 Europeans between the ages of 49 and 70, and it turned out that people with low levels of vit. D3 had significantly worse results in the memory test. Studies have also shown that the concentration of vit. D below 20 mg / ml has an effect on the relationship with many cancers, including colon, prostate, lymphatic system. It also prevents the onset of diabetes, multiple sclerosis or Cohn’s disease. During sunbathing in the solarium we are able to dose the radiation in such a way that we get the optimal amount safe for health, without erythema and burns, which almost always occur during sunbathing, especially when we use it without restraint. Enjoy the benefits of sunbathing, but choose professional solariums and always stick to the advice of the staff. Recent research shows that sensible (in the right doses) use of UV radiation is much more desirable for health than previously thought, and that an increasingly serious health risk is the lack of sun than its excess. Any sensible person not looking for cheap sensations knows that drinking a glass of wine or a drink will not make him an alcoholic. Similarly, by improving the appearance and well-being of golden brown tan, we do not immediately become tanorektics. Rolfdieter Krause from Berlin in 2001 received the. Arnold Rikli for research on the positive effects of ultraviolet radiation on blood circulation. For the first time, this serious, recognized scientist and physician included the radiation emitted by the solar bed for natural medicine. Based on the data collected, Krause stated that in the summer we have lower blood pressure than in the winter. In addition, he noted that exposure to ultraviolet radiation 2-3 times a week for 2-3 months slows down the heart rate and lowers high blood pressure (both systolic and diastolic). At the same time, blood vessels are dilated, which has a relaxing effect on the body. Polish researchers have come to similar conclusions dealing with effect of vitamin D3 on cardiovascular diseases. In turn, William Grant (USA) estimates that every year, 15,000 white and 5,000 dark African Americans die from cancer caused by deficiency of the sun’s vitamin. Solar radiation and solarium causes that in our body vitamin D3 is formed, which prevents many diseases. Its deficiency can be the cause of some cancers (colon cancer, breast cancer, prostate cancer), as well as multiple sclerosis, rheumatoid arthritis, osteoporosis, and diabetes. 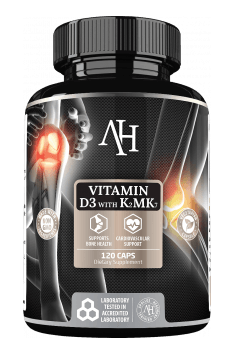 How to use the benefits of vitamin D3, and by the way get a beautiful tan? The gradual adaptation of the skin to UV radiation is the basis for proper tanning. To get a tan in the solarium, we have to come 4-6 times at 2-3-day intervals, starting from shorter times and gradually increase the tanning time (depending on the type of skin and the degree of tanning). We slowly get used to the skin, remembering about 2-3 days breaks – both after the first visit to the solarium and the natural sun. The same rule applies after a longer break – we start sunbathing from the beginning. Apart from brown skin tanning brings many health benefits, only sunburns are dangerous, especially those from childhood. Taking into account the results of the research and the fact that there are truly professional salons, we can conclude that solaria is the only healthy and natural alternative to the sun. They are also a modern solution for people who are in a hurry, care about health and well-being, and a nice look. And also for all those who want to properly prepare the skin for the holidays and for those who can not afford a vacation in the sunny tropics in the winter. What to do to get the most out of sun tanning benefits? Let’s choose a professional studio in your city, preferably recommended by someone and each time we follow the advice of the staff. Let’s not look for the strongest super, hyper, turbo devices. The staff should advise us on the time of sunbathing and the selection of the device, suited to our complexion and tanning degree. Do not expect us to go out after one visit of chocolate – after all, we do not go on vacation for one day. Similarly with tanning beds, deep natural browning of the skin needs time. Let us therefore be patient and let us sunbathe sensibly. When using the solarium, remember to wear protective goggles every time and use professional solarium cosmetics that perfectly moisturize and care for the skin, have ingredients that accelerate the browning of the skin, tyrosine, melanin, vitamins and substances that fight free radicals.